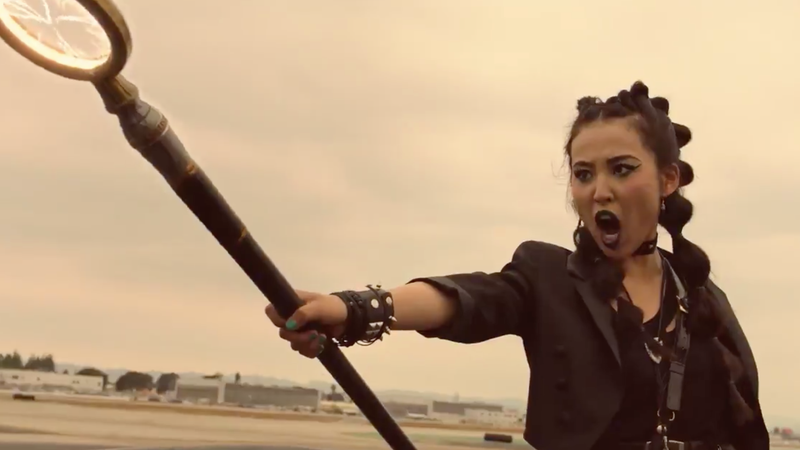 Nico (Lyrica Okano) throws down some serious magic. It took a whole season for Marvel’s Runaways to do the thing—you know, actually running away. Now that they’re on the lam, our teenage heroes are getting ready for war. The first teaser trailer for season two of the Hulu series is here, and the Runaways are no longer living in fear. They’ve found a comfy hideaway—specifically, a deserted hotel—and are getting ready to face down their evil parents, who are the founding members of the Pride. The trailer gives us more action, superpowers, and glowing pink skin than ever before. Bonus points for that sweet dinosaur attack. The Marvel Cinematic Universe may have hit a galaxy-shifting bump with Thanos wiping out half the universe, but Marvel’s shows (including Runaways) look to be set before the famous “snap”—meaning half the cast won’t suddenly disappear. Even though the show won’t reflect current MCU events, the new 13-episode season is going to reveal the first breadcrumb connecting the show to the MCU, though that could easily be some one-line throwback that doesn’t really mean anything. Runaways returns to Hulu with 13 new episodes on December 21.